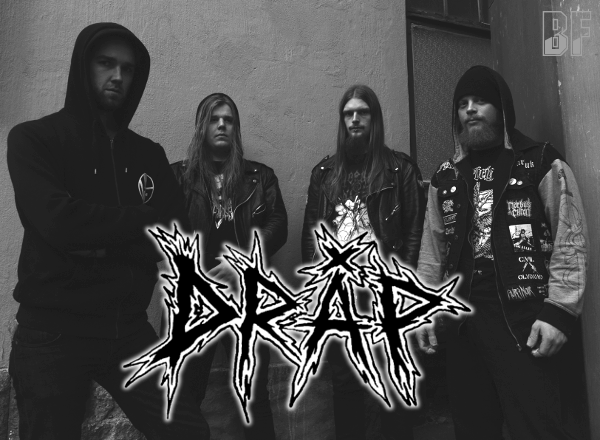 DRÅP is a Swedish Death Metal band formed by vocalist Joachim Lyngfelt in the small Northern Swedish town of Sundsvall in January 2013. They have recorded an album dedicated to Joachim's mother who passed away. In the wake of this album, DRÅP became an intense live band now. In October 2013 they recorded the first album entitled "En Naturlig Död" (A Natural Death), and was mixed & mastered by John Henriksson. It was released on CD through EMF Records on April 4th 2014 and was also released the vinyl edition by themselves on May 15th. 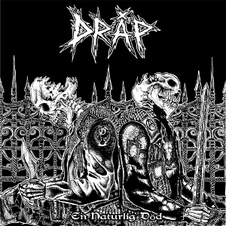 DRÅP offers a music combining with Old School Death, Doom and Grind, and putting aggressive elements in abundance into a voice and instruments. They played at the Umeå PunkFest on April 19th 2014.